Oh, what a fun print this hen print is! The Rectangular Plate with Hen Print by Rice is very colorful and its light blue background is filled with rows and rows of hens. Some are turned to the right, some are turned to the left and they feature many different patterns on them. It is a wonderful plate to use at garden parties to serve some sandwiches or slices of fruit on. You can use it indoors or outdoors, on special occasions or in everyday life. 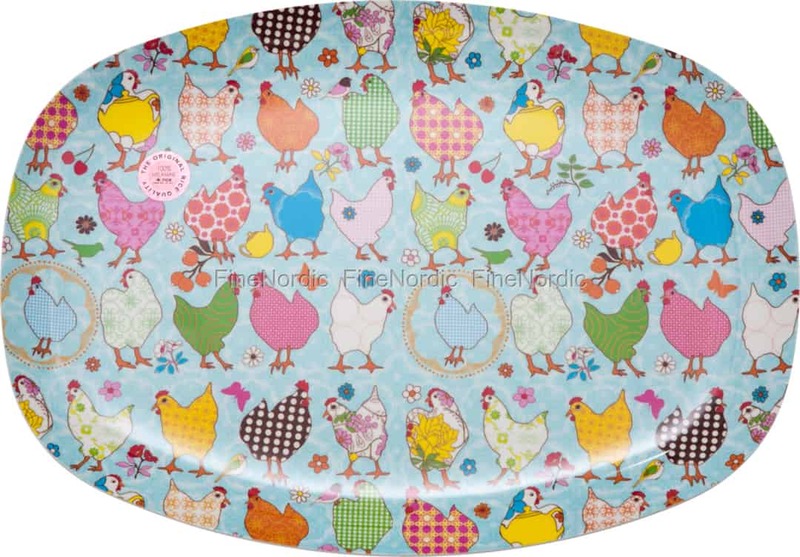 We also have other tableware items in the same hen print available in our web shop. This hen print plate is a wonderful gift for a chicken lover.